I've got a serious case of post holiday blues! I've just got back from a wonderful holiday in Amsterdam with some of my best friends and I'm more than a little sad to be back home and back in work. 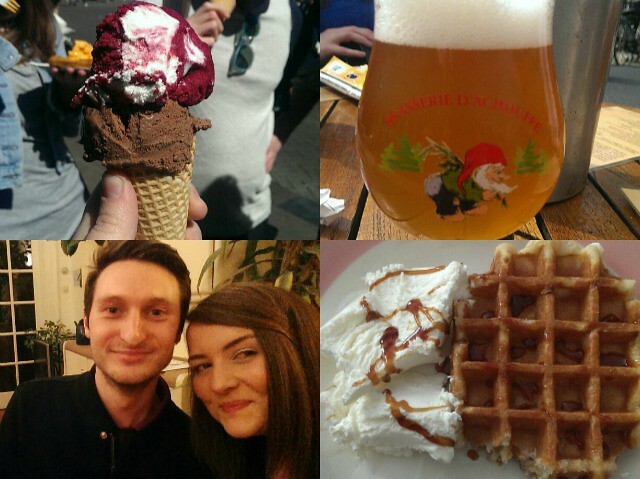 I had planned to see and do loads of things but the weather was too good to be stuck indoors or queueing for museums so I spent most of my time in the lovely parks and eating my own body weight in waffles and ice cream. We were also there to celebrate Craig's birthday in style and I think Amsterdam was the perfect place to do that. we went to a club called NYX that had a DJ in the loos (a tad insane) for his birthday which seemed like the cool place to be. 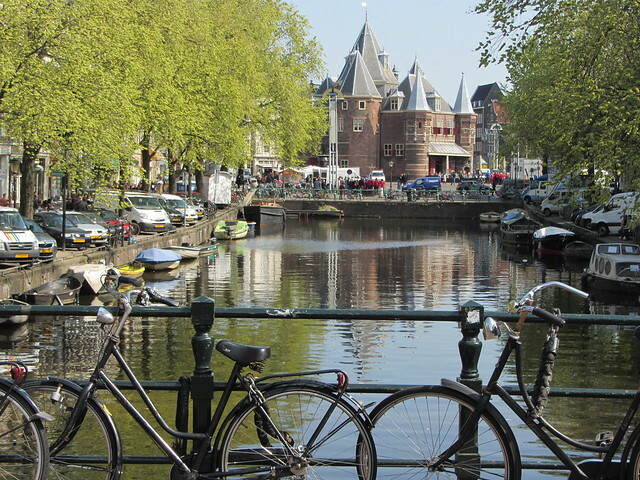 Most people have already made up their mind about Amsterdam before they arrive and yes, there are a lot of Brits there for stag do's and it does have seedy areas but Amsterdam is really pretty and I managed to have a relaxing holiday there. Elio, Me, Craig and Meg (not looking too happy) in Nieuwemarkt after eating waffles. I don't think I can ever look at another waffle... I'm wearing my new favourite t-shirt that I picked up in Monki. I wasn't particularly stylish on my trip, it was all about comfort and it was so hot I just wore my lightest t-shirt. I was going to take boots but I'm glad I didn't because they wouldn't have been much use on cobbles or when I was on my bike. I wore my comfy white Converse most of the weekend. Stick to flat shoes and comfy clothes, nobody is super dressed up in Amsterdam. 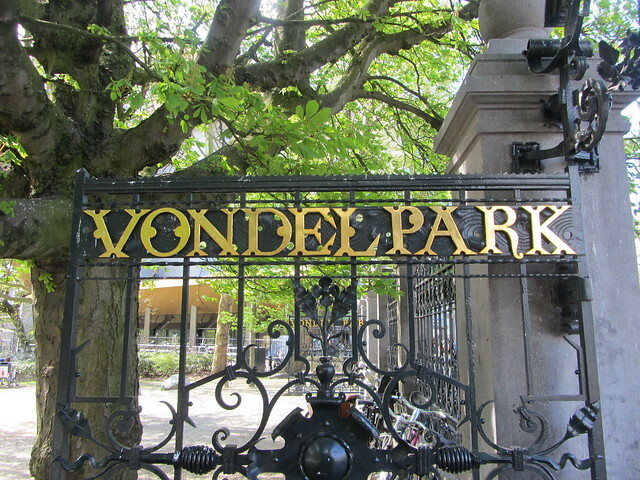 Vondelpark - My new favourite place ever... might be an exaggeration because I still love Manchester. We hired bikes to get around the city and feel like locals. 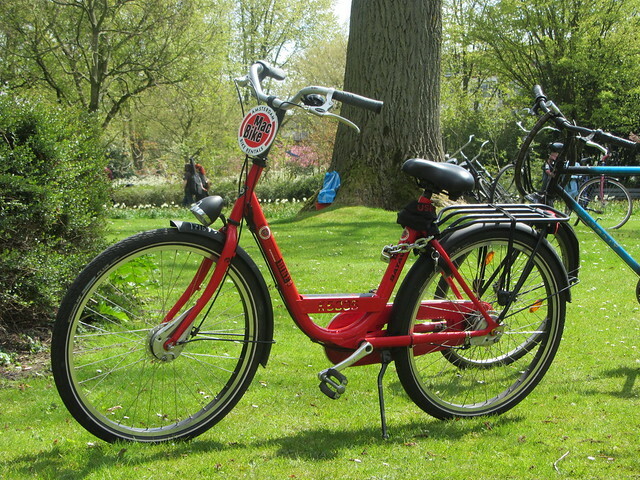 It was around 15 euros for 24 hours but you can get one for cheaper if you are happy to cycle backwards to break but I wanted traditional breaks because I'm not a very experienced cyclist. Isn't she a beaut? really didn't want to hand her back in. 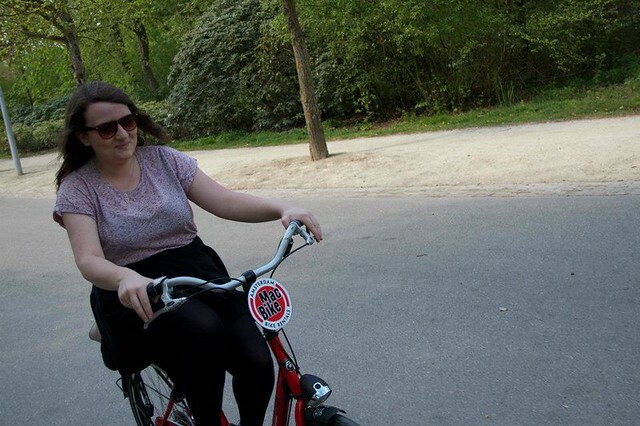 I think hiring a bike is probably the best thing you could do in Amsterdam, so much quicker and easier to get around and if you're only there for a weekend you get to see the whole city. 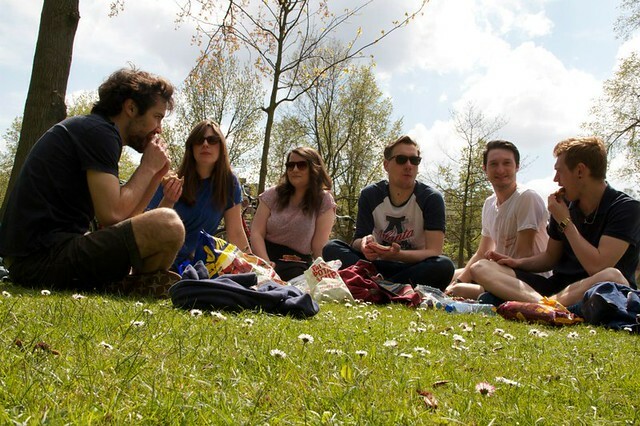 Picnicking in Westerpark. Seriously, all I did was eat on this trip. I can highly recommend Burger Bar, they have about three stores and you can get a tasty burger, fries and a drink for under 10 Euros. Amsterdam can be a tad expensive but I found it so much cheaper than Paris. 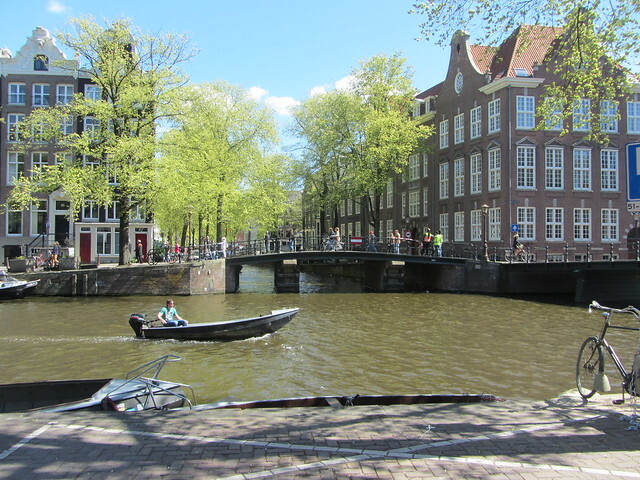 Jack lived in the Jewish Quarter in Amsterdam with the Jewish Historical Museum and Rembrant's House Museum close by. 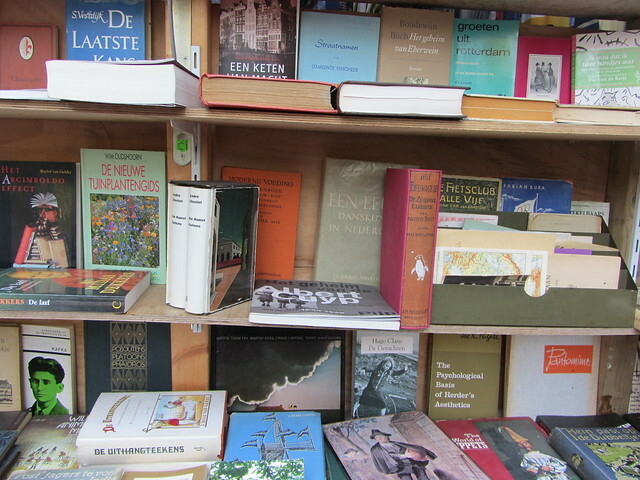 There is also the pretty good Waterlooplein Flea Market in that area which runs Monday - Friday 9.00 am - 5.30 pm; Saturday: 8.30 am –5.30 pm. It's a great place to pick up records, second hand clothes and souvenirs. I can highly recommend the Lunchcafe Waterloo if you're in the area. They do some great sandwiches, and meat/egg dishes and the best iced coffee I've had in a long time. Beer, food and hanging out with Jack was a great combination. I definitely want to return to Amsterdam and visit some of the more touristy attractions. It's the best holiday I've had in a while and made a nice change from visiting Paris and Manchester. I don't have too much time to dwell on Amsterdam memories because I'm off to London tomorrow for the David Bowie is exhibition and to see Cold War Kids in the night. So excited! Been to Amsterdam countless times, I absolutely love the place! It's not all about the weed and I think people realise that once they get there, things are just so laid-back and in the sun wandering round is just perfect. 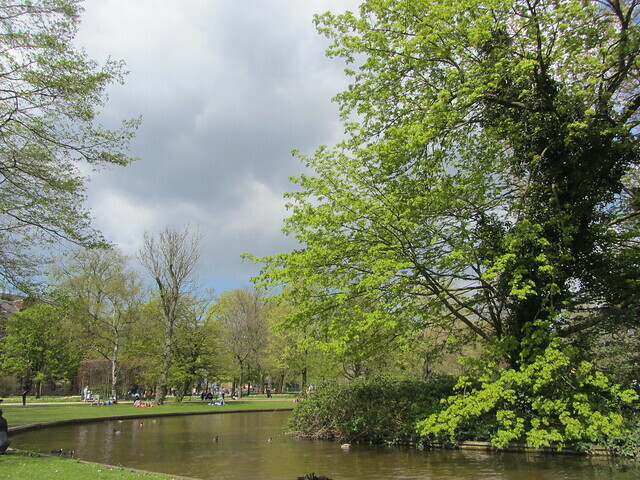 Vondelpark is my favourite place, so nice to sit and people watch! absolutely lovely! I ♥ Amsterdam! Your pix take me back to my trip :) Great post. I looks like you had a lovely time! 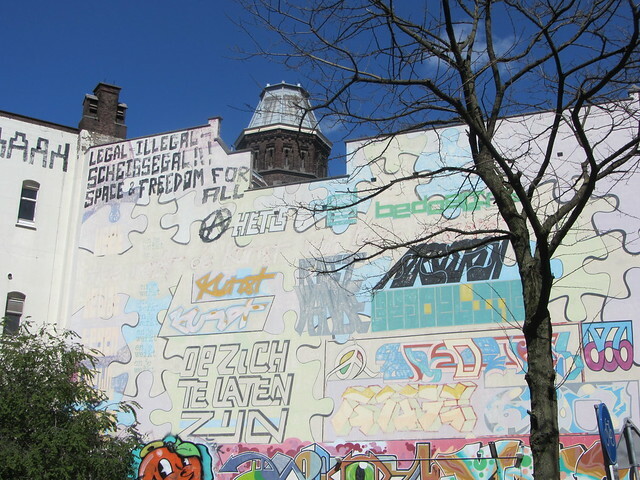 It did have a Berlin feel actually, such a lovely place! 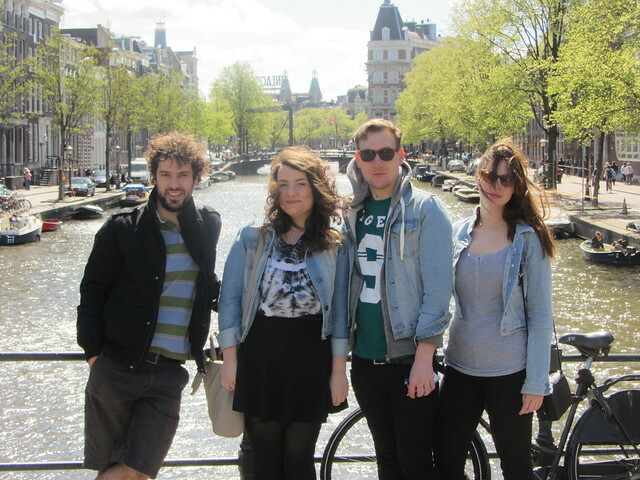 Lovely pics Gem, Amsterdam is one of my fave places ever! And what a gorgeous bunch you are!